That is, I'm taking a break from crocheting! 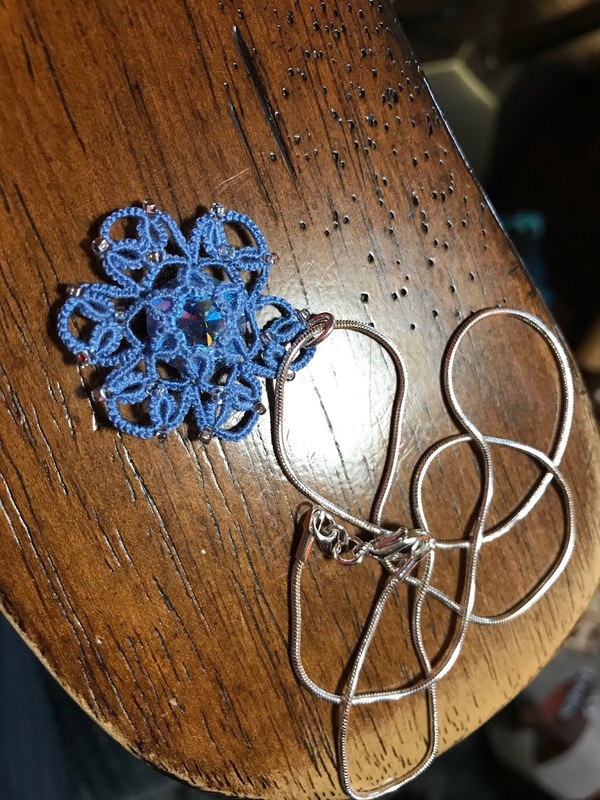 I've been seeing so many beautiful Ice Drops, snowflakes, bookmarks, and edgings, I just had to break out my tatting shuttles and tat! 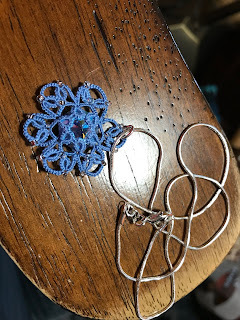 There's a group of five girls who eat lunch together every day, and they've been admiring my tatting. So, they're each going to get a necklace. 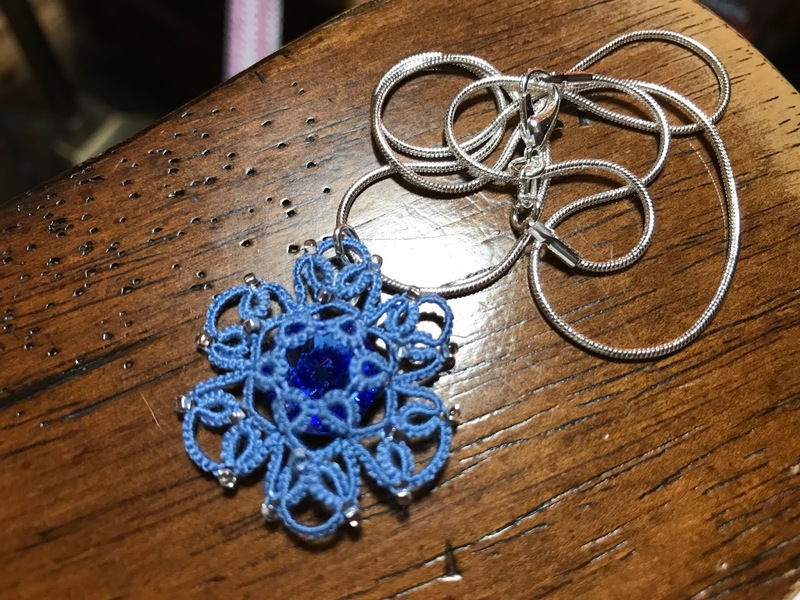 I have requests for to blue with beads, one blue without beads, one purple without beads, and one red without beads. For some reason, my computer won't let me rotate this picture, although it looks fine in my Photos file. I chose to do the beaded pendants first since they're slightly more time consuming. I'm hoping to finish these up for the girls over the weekend. I'm using the same pattern for each of them since the girls are good friends. The differences will be in the thread and crystal colors. For the rest of the evening, it's back to crocheting. Christmas will be here before we know it! Lovely shade of blue, isn’t it? More lucky girls to get necklaces! Are these five new girls? If so, I knew you would get new requests! Did I miss the reactions from the first group? You always know the right thing to make and those girls will love it!